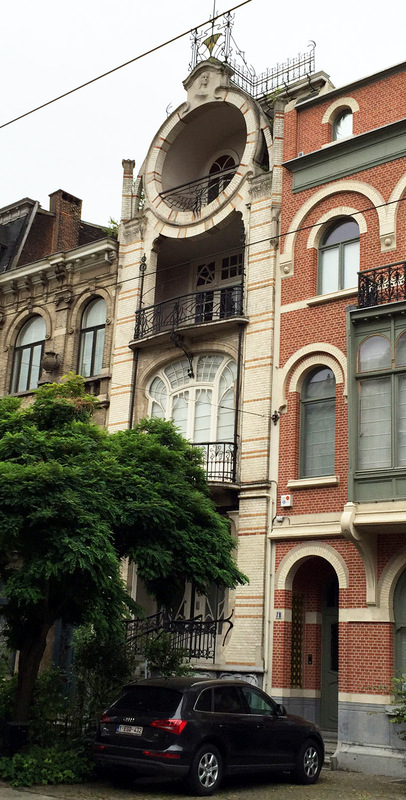 A day trip to Antwerp, Belgium, led to a wonderful street, Cogels-Osy Lei. 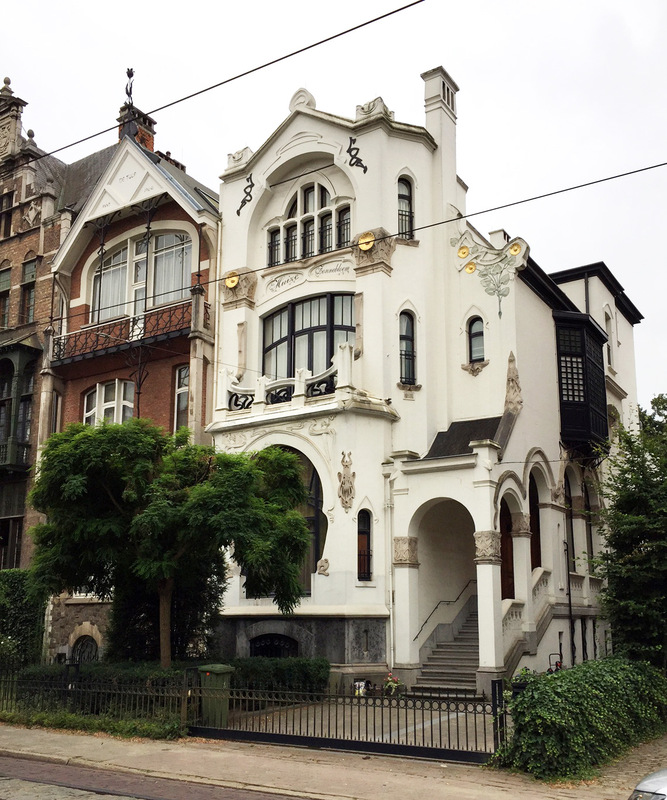 It appears that the entire street was built within a single decade, right at the height of the Art Nouveau movement, approximately 1895-1905. 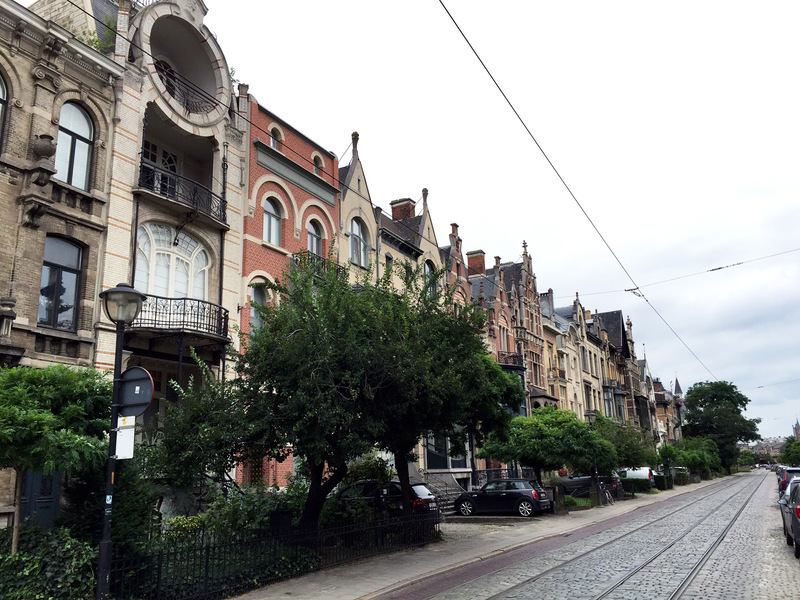 The street is beautiful, with more than a handful of Art Nouveau homes, characterized by curvilinear lines, especially in the ironwork. Assymmetry is another Art Nouveau characteristic, but only one of the buildings exhibited this. 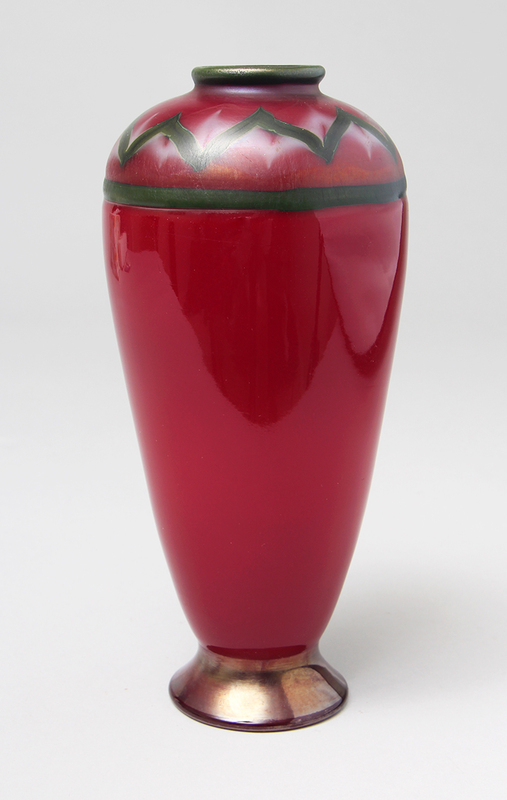 Back to New York this weekend with some very fine vases and objects we purchased on our trip. More about that next week. 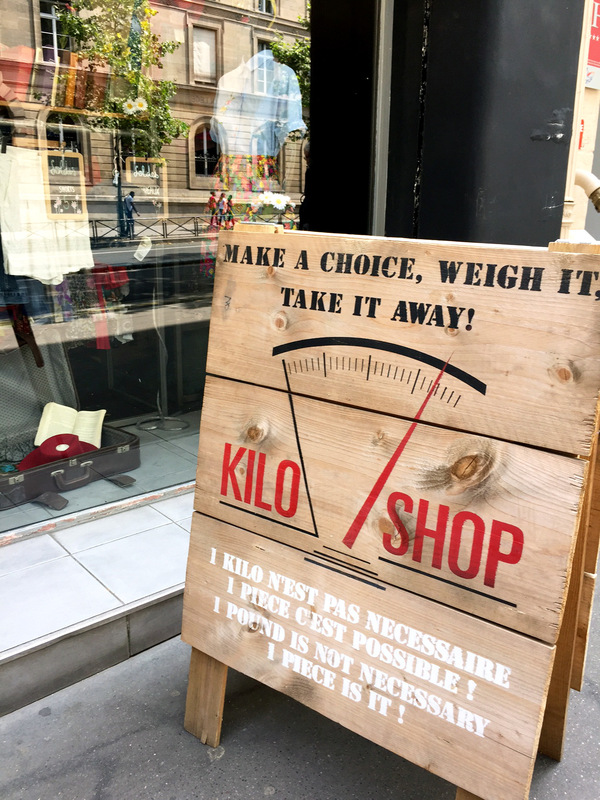 My wife and I came to Paris on business, but found more than a few amusing things while walking around — things we just don’t see in the USA. 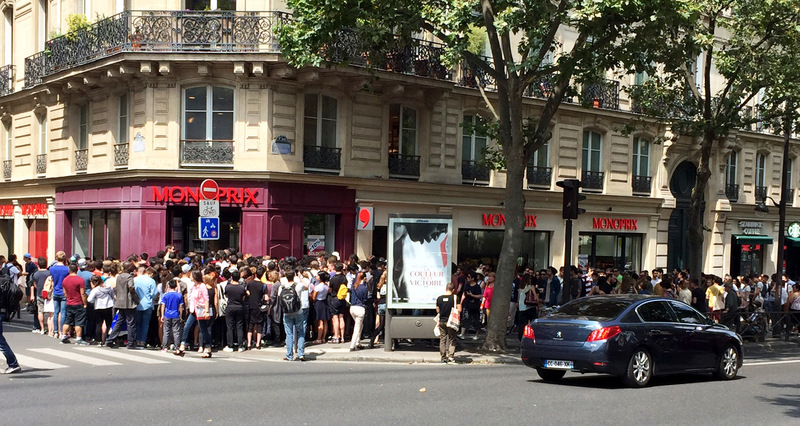 First and foremost was the huge line of about 1,000 people that wound around the block to get into a Monoprix store (food and clothing, kind of like a Target or a small Walmart). The signs in the store window advertised a “10% sale”, so I knew that couldn’t be the reason. After a couple of inquiries, I found out — Pokémon GO. I couldn’t believe it. If you waited two to three hours on line, you would be given a Pokémon GO bag with a few goodies, including a charger wire, some sunscreen, etc. What??? Two to three hours on line for a few Pokémon goodies? Beyond my comprehension (but I’m no longer 25 years old). This next one really tickles me. 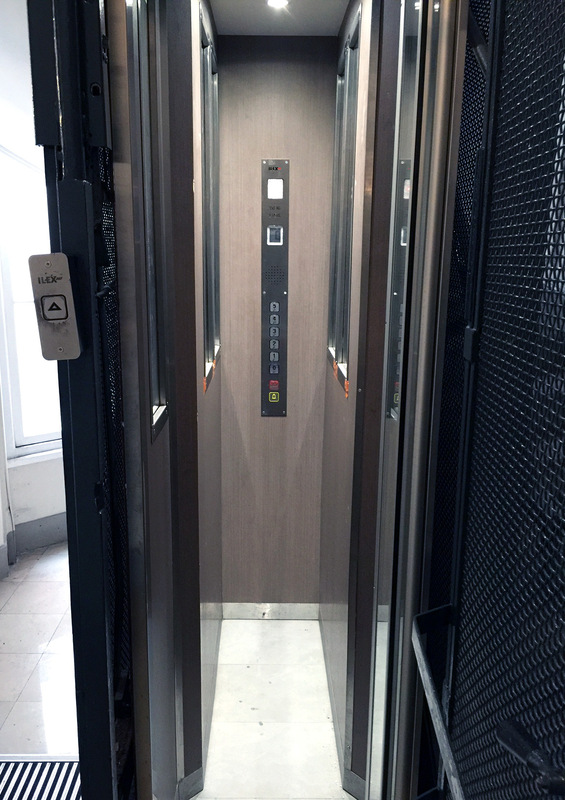 How about an elevator so narrow that you have to stand sideways? What US elevator regulations does this violate? I grinned the whole time I used it. Clothing by the pound? Here it is. Doesn’t appear to be a sound business plan, but the proof of the pudding is in the eating. If I find more in Paris or Amsterdam, you’ll see it here soon. By the time you read this, we’ll be in Europe on a buying trip. We’ll have everything back in New York by the beginning of August, in time to add to our important exhibit in Baltimore at the end of August. Everything will be for sale prior to Baltimore, so please inquire if you have any interest. 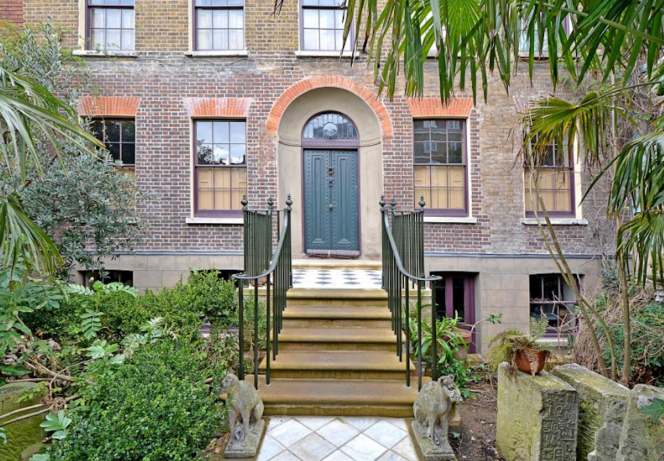 A huge 18th century mansion in London hasn’t been lived in since 1895. 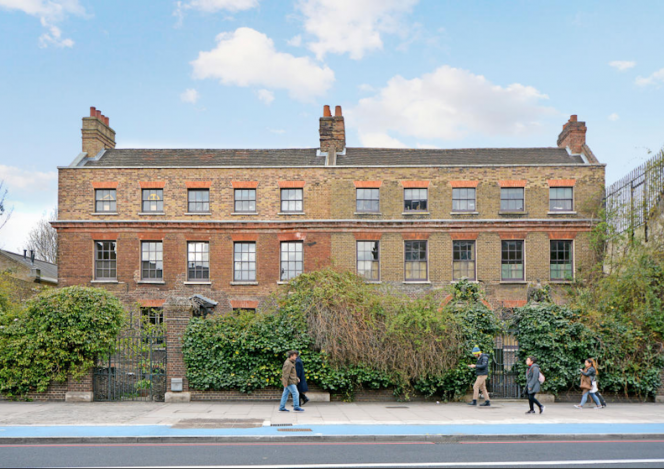 It was restored and is now for sale for £2.95 million ($3,867,274). Click here for the full story and photos of the interior. I’m starting to write this blog on Friday afternoon at 1 PM. (The show closes at 6 PM today.) The show is slow at the moment, with only a few guests walking around. Attendance has been fairly light. We’ve only made sales to two dealers pre-show and none to the public as of this point, but we’re keeping an open mind. Part of the reason we’re still exhibiting in Denver is because we made a stop on the way to a very good client who bought enough to make the trip worthwhile. Update: Saturday, 1:50 PM. Business was a little slow yesterday, but not bad — one sale and one good trade. Today started off nicely with two good sales. Hope it continues. Update: Saturday, 5:30 PM. A client from earlier today came back and made an additional purchase. 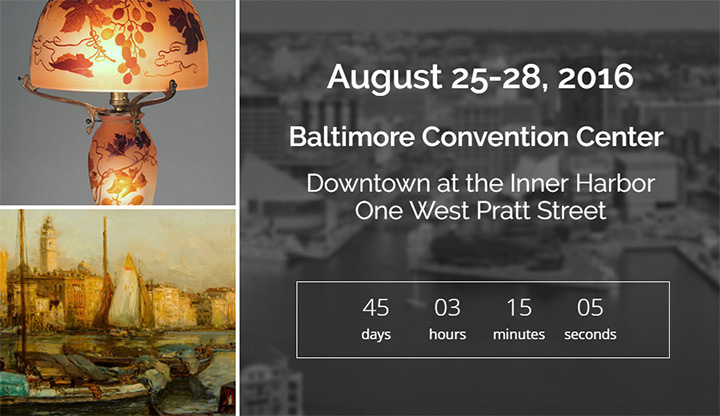 Our next show will be the eagerly anticipated Baltimore Summer Antiques Show, August 25-28, 2016. It’s the best show of the summer and maybe now the best of the year (with all the changes coming this winter in Miami). People fly in from all over the world to attend, including from as far away as Japan. If you haven’t yet visited, you should. It’s big with some of the best national and international dealers. You’ll also enjoy Baltimore. Hope to see you there! 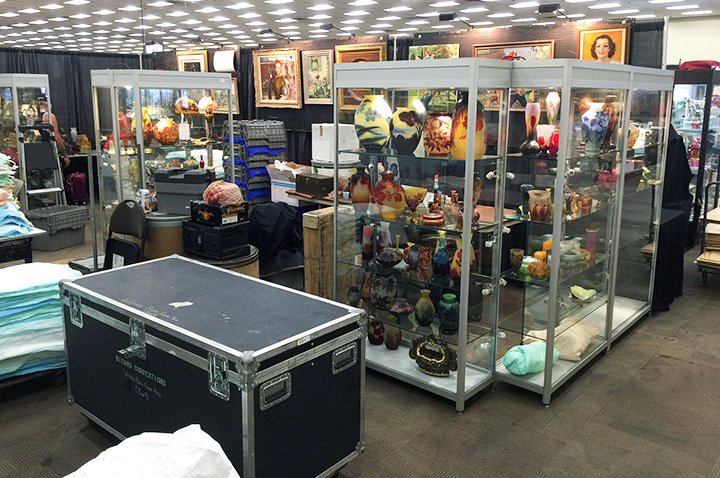 Yesterday was the first day of setup for the Denver World Wide Antique Show. Everything went very smoothly. We finished about 60% of the work, which will make for an easy day today. Since we exhibit in Denver only once a year, our booth changes each time. This time we have the first booth in the first aisle to the left, as you enter the show. 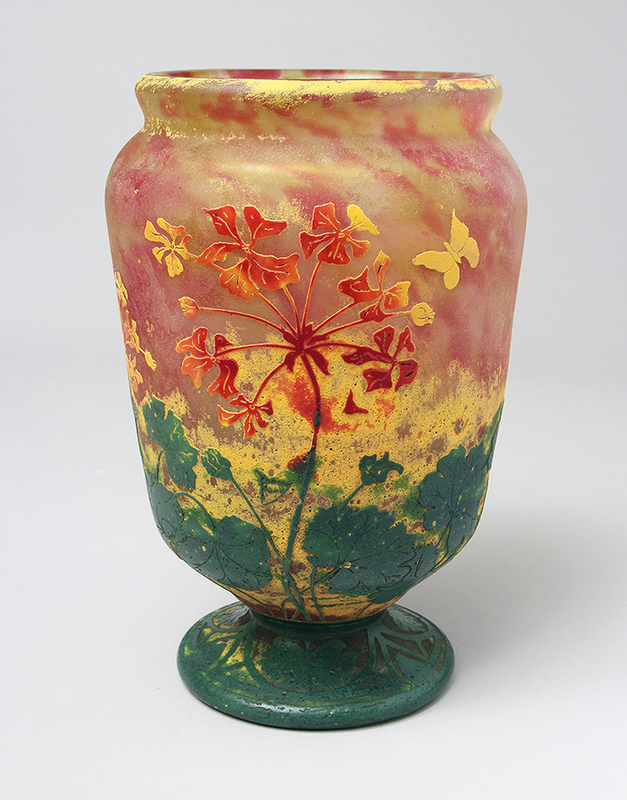 I didn’t buy anything from other dealers yesterday, but I did sell one vase. 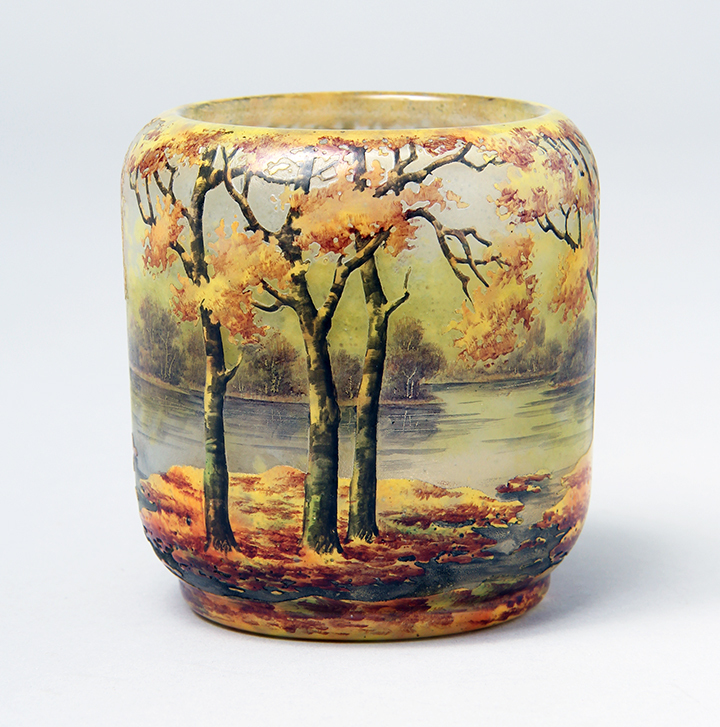 Other dealers have expressed interest in purchasing other items, so that will be a nice start to the show. I’ve been buying great glass and lamps since our last show at the Chicago Botanic Gardens in April. It will all be on display. Come to the show and take a look. The show opens to the public this Friday at 10 AM and continues until Sunday at 4 PM. Hope to see you there. In the meantime, we’re very much in business, so call or email me with your wants or items for sale. If you have what I’m looking for, I’m paying the highest prices. My decisions are quick and my payments just as quick. Just snap a photo and email it to me. 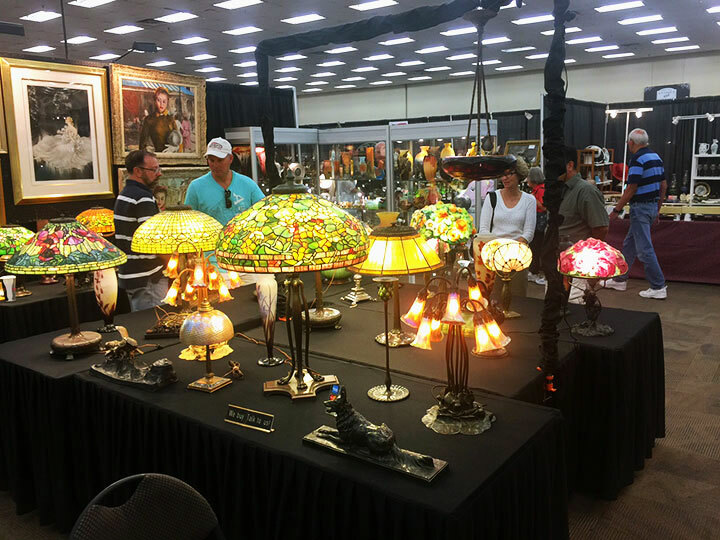 The Denver World Wide Antique Show opens to the public this Friday, July 15th, at 10 AM, and continues until Sunday, at 4 PM. The show is held three times per year, but we only exhibit in Denver in the summer. 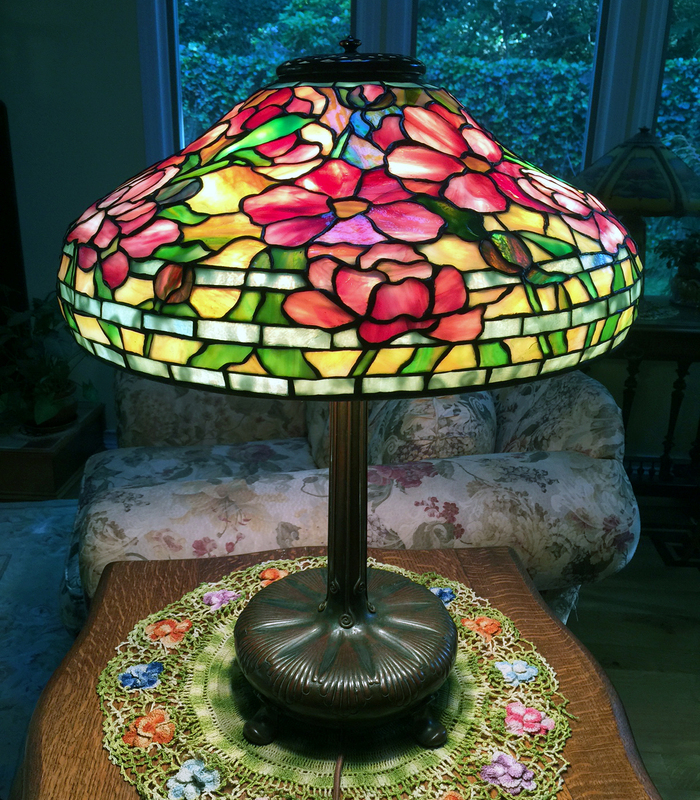 We’ll have a large selection of Tiffany Studios lamps, including an 18″ Peony. We’ll also have a fine selection of Handel reverse-painted and Pairpoint puffy lamps. 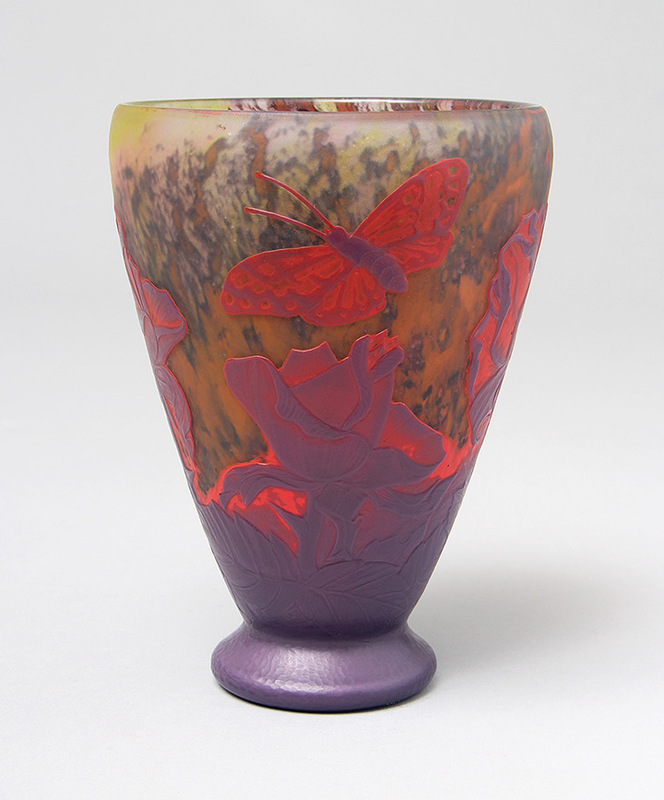 Our French glass collection will be second to none and will include extensive examples of Daum Nancy’s and Gallé’s works. 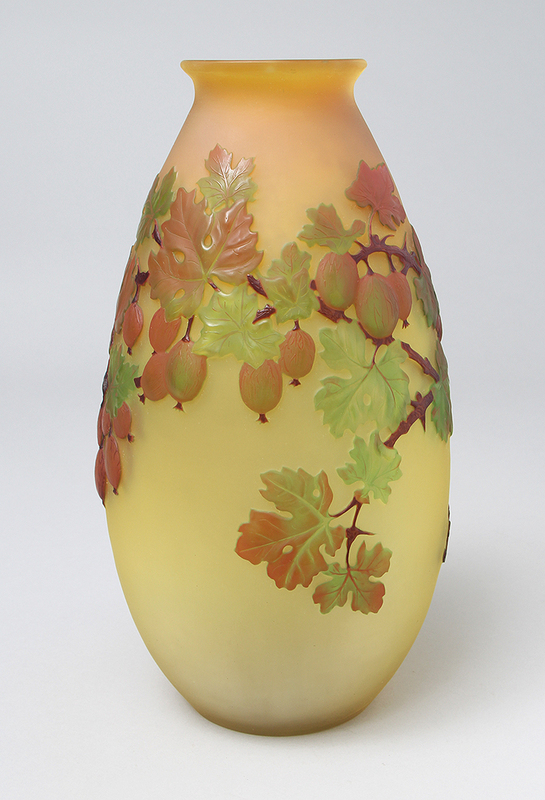 Our American glass collection will include superior examples of Tiffany Favrile glass. 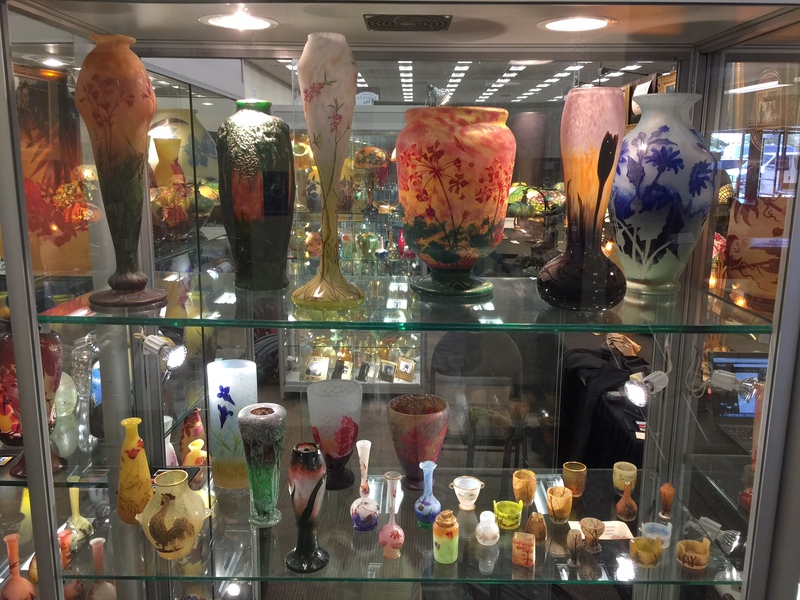 In addition, we’ll have great bronzes, American and European art pottery and many miscellaneous examples, too numerous to mention. 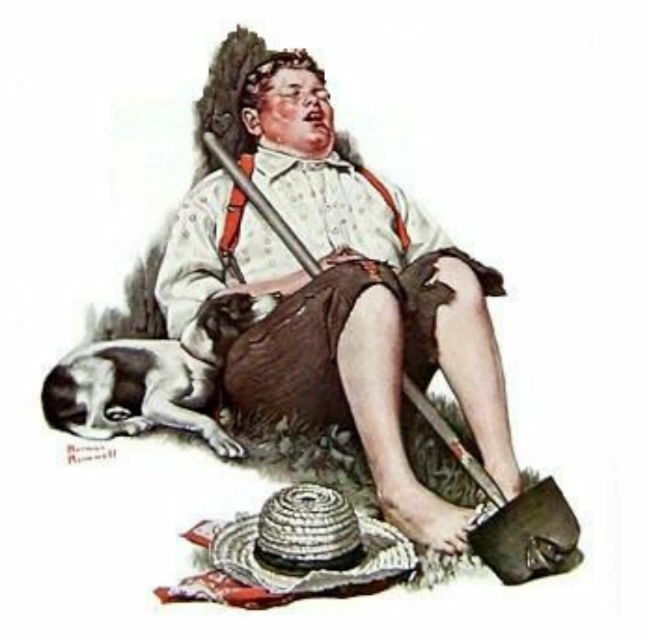 On the 40th anniversary of the theft of a Norman Rockwell painting from a New Jersey home, the FBI has asked the public for help in locating it. Click here for the ABC Philadelphia story. Click here for the CBS Philadelphia story. Spring is an unusual time for my business because of various opposing forces. First the weather gets nice and summer vacation approaches. People spend less time indoors, so they spend less time at their computers searching for antiques and more time planning for the summer. Opposing that is the glut of merchandise that comes onto the market in June. 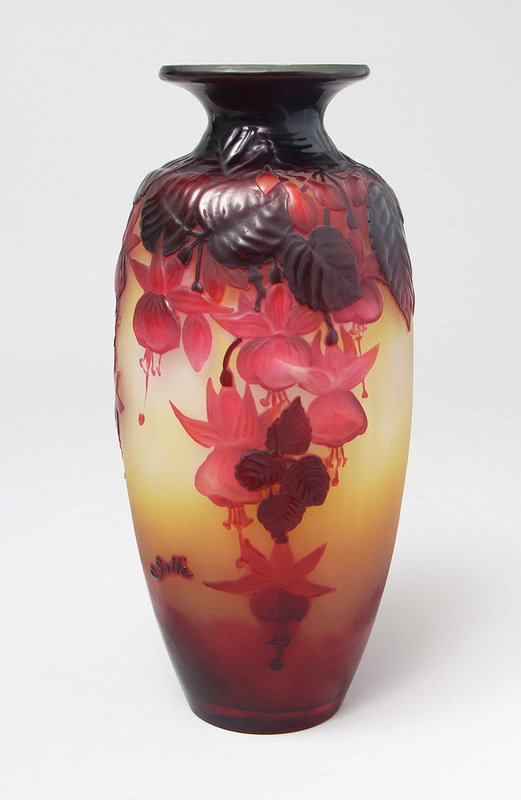 Every auction house, major and minor, in the US and in Europe, has a June Decorative Arts sale. Then there is the business of antique shows. Historically there have been very few shows in the spring. The result is lots of merchandise to buy and very few people to sell it to. Dealers with the deepest pockets have the easiest time smoothing out spring’s rough ride. 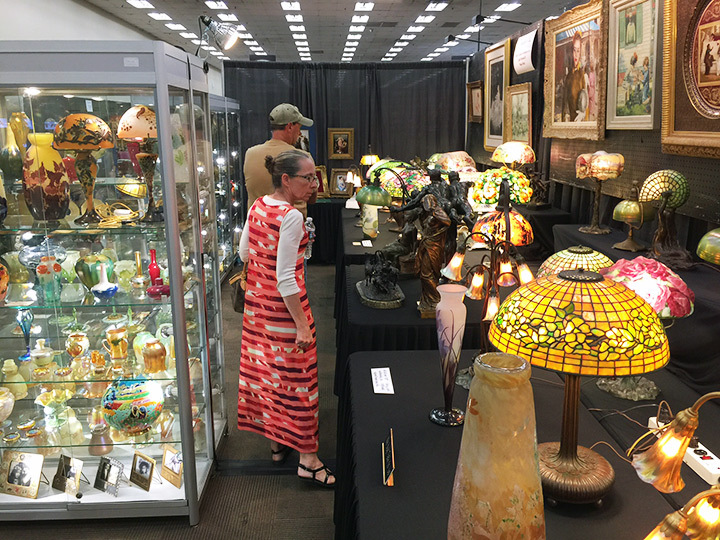 Business gets better in the summer, with a couple of antique shows (there used to be more), including the important Baltimore Summer Antiques Show at the end of August (which I always eagerly look forward to). What does it all mean? I’ve been buying like crazy, all over the world, both at auction and privately. 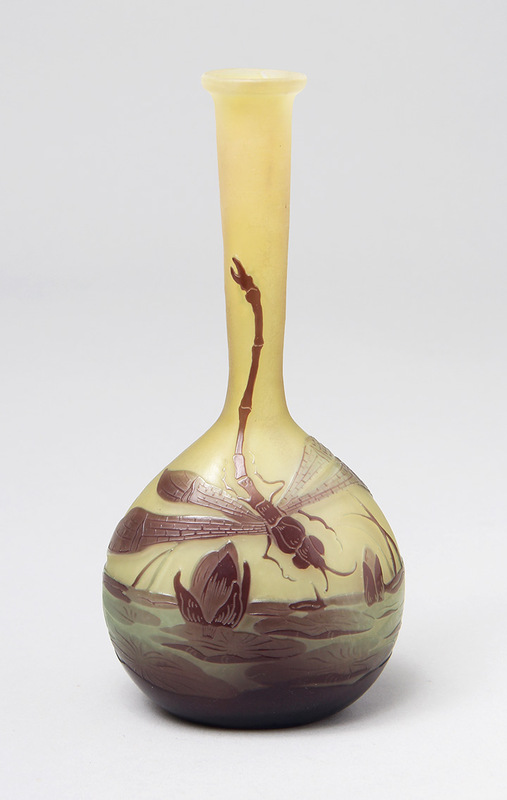 The new merchandise is mostly fine French cameo glass by Daum Nancy, Gallé, A. Walter and Argy-Rousseau, but also includes Tiffany Favrile glass and several fine lamps by Tiffany, Handel and Pairpoint. The new items have all been hand-selected by me and meet my high standards. You know you can buy from me with confidence. I’m trying to list many new items but it’s been difficult because we’re packing for our Denver show (where it will all be on display). I did list a few items and will continue to list more as time permits. Please check my site often or email me with your requests.